The Trump administration has signaled its plans to significantly alter the rule on eligibility of applicants for permanent residency and applicants intending to immigrate to the US by redefining “public charge” determinations related to the use of public benefits. This would make it harder to enter the country and reduce access to a broad range of health and human service safety-net programs for immigrants already living here, including US citizen children. This proposal is currently under review at the Office of Management and Budget (OMB). After the proposal’s expected publication in July, the public will have an opportunity to comment on the proposal, and DHS must consider those comments before finalizing the regulation. It’s possible that the proposed regulation may never be published, it could be changed in response to public comments, litigation could block the final regulation from implementation, or Congress could amend the immigration law and create a new interpretation and regulations. For now, however, this is where DHS is heading. To advance the intended changes that the Department of Homeland Security is seeking, the draft regulation would alter two key definitions — “public charge” and “public benefit” — and would add a weighted system to guide how benefits are considered. Financial wealth would be weighted as positive, while use of most services, including health and human service benefits, would be weighted as negative. In the past, the only benefits considered for this determination were Temporary Assistance for Needy Families (TANF) and government-funded long-term care. The draft regulation redefines “public benefit” as “any government assistance in the form of cash, checks, or other forms of money transfers, or instruments and non-cash government assistance in the form of aid, services, or other relief that is means-tested or intended to help the individual meet basic living requirements such as housing, food, utilities, or medical care.” Specifically, that would include subsidized health insurance (Medicaid, Children’s Health Insurance Program [CHIP], and insurance supported by Affordable Care Act premium tax credits or cost-sharing subsidies), nutrition assistance (Supplemental Nutrition Assistance Program [SNAP], and the Women, Infants, and Children Program [WIC]), housing assistance, energy assistance for low-income people, earned income tax credits, and more. And, as we explain below, immigration officials would also look at benefits received by US citizen children, which could affect the ability of their parents to become legal permanent residents. The proposed regulation would look back at benefits received in the preceding 36 months rather than only on the likelihood of a person using benefits in the future, as is currently the practice. It is important to note that the expanded benefits will only be relevant to the public charge determination if they are used for the 36 months after the effective date of the final rule. In the leaked drafts of the proposed regulation, DHS would redefine a “public charge” as a person who “uses or received public benefits.” That proposed definition differs from the current one, which defines a public charge as one who is likely to become primarily dependent on the government for subsistence income. Someone could be considered a public charge if they are likely to receive “non-earned” public benefits (i.e., subsidized health coverage, SNAP, LIHEAP, etc.) valued at 3% or more of their annual federal poverty guidelines income level versus 50% or more under the current interpretation. The proposed regulation would not change who is subject to the public charge test. People seeking to enter the country or to become green card holders through a family-based petition would continue to be subject to the public charge test. People who are currently exempt, including applicants for US citizenship, refugees, asylees, and survivors of human trafficking, domestic violence, and other serious crimes, would continue to be exempt. While the regulation would not alter who the public charge test applies to, it would add consideration of public benefit use among dependents, including US citizen children. Because of the citizenship rights and entitlements of these children, this is an important and controversial change. The proposed rule is likely to generate confusion, and experts indicate some immigrant families will withdraw from public benefits out of fear even though the public charge test would not actually apply to their families. When determining whether an immigrant is likely to become a public charge, officials apply a “totality of circumstances test,” meaning the immigration official considers five factors outlined in the Immigration and Nationality Act. These factors are age; health; family status; assets, resources, and financial status; and education and skills. In current practice, this is a prospective review in which the officer considers whether the applicant is likely to become a public charge. Lack of employability as demonstrated by current unemployment, employment history, and limited prospects for future employment. Current use of the expanded list of public benefits, or any use of public benefits within the preceding 36 months. A “medical condition without non-subsidized health insurance, the prospect of obtaining non-subsidized health insurance, or other non-governmental means of paying for treatment.” This would include any form of government-supported health coverage, including Medicaid, CHIP, and health plans purchased with premium tax credits or cost sharing subsidized through an Affordable Care Act insurance marketplace. The draft states “having health insurance is generally a positive factor in the totality of circumstances but having subsidized insurance will generally be considered a heavily weighted negative factor.” This includes use of subsidized health coverage by an immigrant’s US citizen child as well. If an immigrant has one or more of the heavily weighted negative factors described above, the leaked draft notes that those factors could be “outweighed” by heavily weighted positive factors in the form of financial assets, resources, support, or annual income of at least 250% of the federal poverty guidelines. The National Immigration Law Center (NILC) and other experts say the proposed changes would drastically reduce access to core safety-net programs and would destabilize families. “Any policy forcing millions of families to choose between the denial of status and food or health care would exacerbate serious problems such as hunger, unmet health needs, child poverty, and homelessness, with lasting consequences for families’ well-being and long-term success and community prosperity,” said NILC in a fact sheet (PDF). 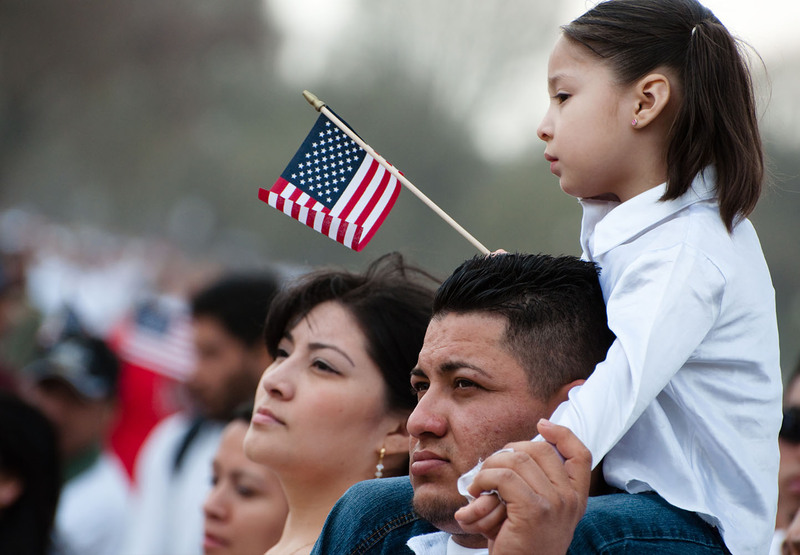 If this proposed regulation is implemented, it would likely reduce participation in Medicaid, CHIP, and other programs among immigrant families — including families with US citizen children, according to an analysis by the Kaiser Family Foundation. Knowledge of the changes in the draft proposed regulation are already causing families to withdraw from safety-net programs, even though any benefits used before the rule is officially finalized, with the exception of cash benefits, cannot be considered in future public charge determinations.